Supertramp is there on the left side column to take you to America! Taking the jumbo cross the watter… You get to Muffins’ land. Turn player on! Our daily kind of breakfast is: Café con leche – Coffee with milk (my morning drink), Digestive Tea (my husband’s drink) and Milk with Nesquick (my daughter’s drink) and then I have 3 cereal cookies, my husband only takes one and my daughter has a bowl of chocolate cereals. 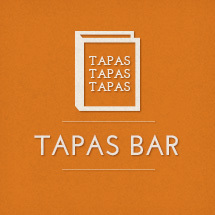 Do you understand now why we Spaniards need a good lunch to keep with the rest of the day’s schedule? But, all of a sudden, I’m seeing all these wonderful cookies and muffins and cupcakes in the blogosphere and this tremendous desire grows in my brain and tummy… A crave for Muffins! I’ve seen Susan’s, PG’s, Emiline’s, Deeba’s, Val’s, Ivy’s … you are all contributing to where-has-my-waist-gone? 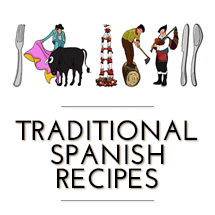 A recipe in a Spanish magazine caught my eye. But then once I started to follow it I saw that there were some things in the recipe that were wrong… so I had to improvise… And the result was SUPER!!!! They only lasted for 2 days!!! 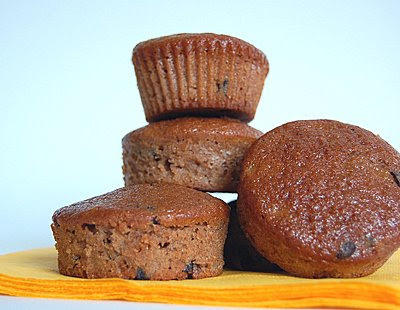 Ingredients for 12 muffins: 180 grs of flour, 25 grs of ground cocoa, 150 grs of sugar, 1 baking power, a pinch of salt, 2 eggs, 1 banana, 1 big golden apple, 1/2 a stick of cinnamon, 1 table spoon of butter, 125 grs of yogurt, 8 table spoons of sunflower oil, 100 grs of chocolate chips. Peel the apple, take away its heart and cut in dices. Put the butter in a sauce pan and when it dissolves add the apple, 20 grs of sugar and the cinnamon. Cook for 8 minutes at low heat until it softens. Take away the cinnamon and use a food processor to get a fine texture. Reserve. Take a big bowl and have the cocoa, flour, rest of sugar, baking power and salt. Mix it all. In a second bowl, whisk the eggs until they rise a bit, add the apple sauce (only when it's not hot), the yogurt, and the oil. Mix it all carefully. Peel the banana, smash with a fork in a plate and add to the mixture. Mix it nicely. Put together the two bowls mixtures and stir until you get an homogeneous paste. 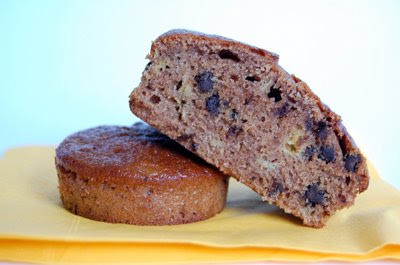 Add the chocolate chips and pour the paste into the muffin molders. Preheat oven at 180ºC. 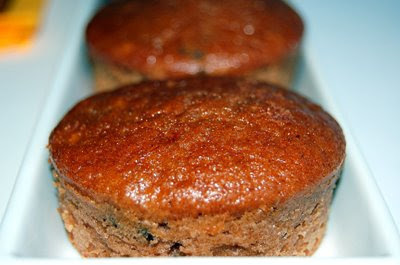 When you have achieved the desired heat, place the muffins in the middle rack and bake for 25 to 30 minutes. My pudding shape one needed 10 more minutes. 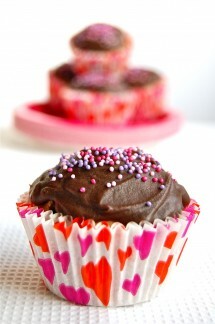 It’s good to be influenced by all the different blogs and all the baking in the blogosphere! 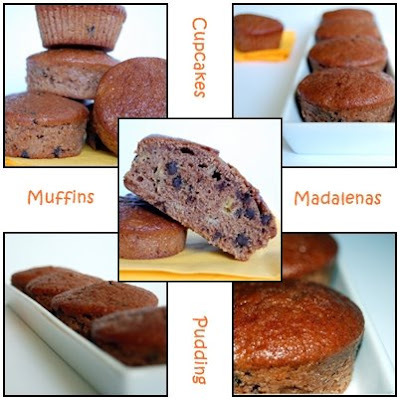 Your muffins look delicious…perfect for desayuno Nuria! What a lovely recipe Nuria! 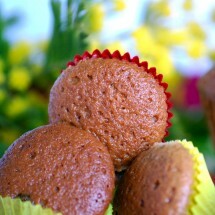 I agree that it is difficult to resist making muffins when all this muffin-mania is taking place around you! 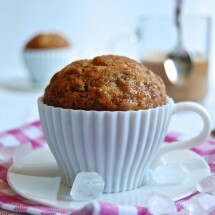 Muffins are a quick breakfast or snack…perfect anytime!!!! !”Nothin’ says lovin’ like somethin’ from the oven!!!!!!!!! Yes Peter! 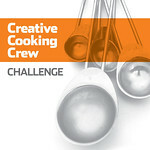 I would have never tried them if I hadn’t seen them in every single blog :D And it was great! Siiiii Johanna! Now my daughter and husband are asking for more!!! It seems Greeks & Spaniards seem to neglect breakfast and it’s not good. You, my dear are on a good road, sampling muffins and such but just have one or you’ll have to buy a new bikini next summer! Have to admit, I’m a bit of a muffin/cupcake freak…I prefer them to cake because the portions are limited ;) These look great! Núria, se ven espectacular!!! I might have to increase the chocolate chips to 125 g though :) me encanta la primera foto!! These look really delicious…moist and tasty. And your photo technique is getting more and more interesting. No churros for the family breakfast? Hi Michelle! Thanks so much for commenting :D! Am I becoming a muffins freak too? I love them!!!! You made a point here, dear Joan! Still to try churros at home. But nothing seems impossible ;D.
As I told Antonio… PhotoScape is the program! 2 days? They wouldn’t last 2 hours here. :) Yum! 2 days only? I’d think they would have been gone waaay sooner than that – they look fantastic! 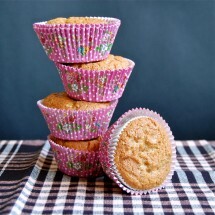 Nuria, I never made muffins until a couple of months ago and since then I can’t stop. They are so addictive and they are so versatile that the choices are endless. The only thing I haven’t made yet are savory muffins which I will make soon. nuria–for an american breakfast you need to watch a denny’s commercial. a stack of pancakes, greasy sausages, too many scrambled eggs, maybe a muffin, all on the same plate and covered with syrup. thats the american breakfast. hehe. Thanks for the last comments guys! Just wrote an answer to you all and my blog didn’t keep my comment!!!!! I’m too tired now to repeat it. Great first batch of muffins, Nuria! They are very similar to ones I make and my family loves them, too. Haha, you said you didn’t bake! And look at you with your delicious muffins. I enjoy a good muffin. I also enjoy a bowl of chocolate cereal. Chocolate cereal is awesome. that’s what i love about spain – that they don’t go wild on breakfast! i swear, i think i was spanish in a former life. did these muffins make you feel american for a moment? ha ha ha! Hey I too tried baking cupcakes and fairy cakes just after my exams got over. I go weak in the knees with a mention of muffins and cakes.